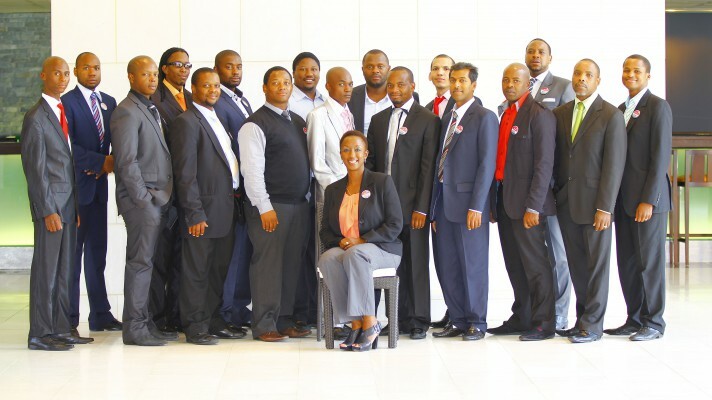 On 28 February, 18 entrepreneurs who had already been through a rigorous screening process – having been handpicked from towns and townships across South Africa – conducted a final pitch of their businesses to top-level executives in an effort to secure their place on a once-in-a-lifetime trade visit to the United Kingdom in April 2013. Sponsored by BT (British Telecom) Global Services and spearheaded by MEDO (Micro Enterprise Development Organisation), the International Trade Programme (ITP) aims to stimulate trade between South Africa and the UK while fast-tracking entrepreneurial businesses that are key to economic growth and job creation in this country. The selected entrepreneurs will spend a week in the UK, participating in training programmes, networking events and business and investor pitches. According to Judi Sandrock, chief executive of MEDO, "The entrepreneurs were well-prepared and delivered business pitches of world-class standards. The judges were not convinced that three of the businesses were ready to trade internationally and indicated that the entrepreneurs should build their businesses over some time and try again at a later stage. For the rest, the pace will heat up in preparation for the trip in April." This particular trip is focused on the information and communication technology (ICT) sector and, as such, the participating businesses are aligned. Veronica Shangali Aswani, the founder of Wavunow.com, a socially conscious e-commerce website aimed at bringing African crafters from rural communities to global markets. Wavunow, a Swahili word for 'net', showcases products that can be bought at a click of a mouse, bringing a range of quality, uniquely African goods such as crafts, home and personal accessories, corporate gifts and more to shoppers from across the globe. However, the concept goes a step further by offering business development training to the small, medium and micro enterprises selling their products on the site. Jeffery Mulaudzi started Muluadzi Alexandra Tours in 2010 after identifying an opportunity that would not only help him break the cycle of poverty, but uplift his community in Alexandra township in Johannesburg. Tourists from across the world cycle the township, visiting historical sites and hot spots. Guided by Jeffery himself, it gives visitors a new perspective of Alex and allows them to interact with the community. In two short years, Jeffery has taken his business online, and the demand for his tours has helped him grow from having just two bicycles to 24. Sowertech founders Obakeng Mathlhoko and Nathi Shabalala run an innovative business that focuses on mobile applications (or apps) and technology development. Sowertech offers a number of mobile solutions such as mobi-web development, app development, innovation process management and consulting services. Their vision is “to establish a highly reliable and nationally recognised team of young techno-savvy innovators in the mobility space and to drive ICT/mobility and ‘green’ technology innovations”. Sibongile Mbele combined his passion for IT and uplifting others, into a thriving business called Mbele Social Concepts (Pty) Ltd. His flagship programme, Computers4Kids, is a social enterprise that provides IT education and training for disadvantaged children in the Langa, Nyanga, Gugulethu and Khayelitsha communities of Cape Town. A highly experienced professional in the ICT industry and the product of a less advantaged background himself, Sibongile decided to bring IT skills and knowledge to children who may not otherwise have access to this kind of resource. Thulani Ngwenya founded Bytecode Consulting in 2006. The company delivers mobile application and productivity solutions to customers by integrating mobile and cloud technology. This includes mobile applications for SAP, which is one of the world's largest enterprise resource planning (ERP) systems; and other ERP & Legacy systems. As a registered member of the Wireless Applications Service Provider Association, the business also provides consulting services, assisting clients to find the best ICT architecture for them to implement their mobile strategies. 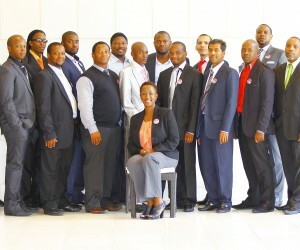 Ngwenya has one of only two SAP mobile partnerships in Africa. Sechaba Ngwenya is the brain behind Creditable Co (of Dile Technologies) – an online service that allows anyone with money to become a lender (called peer-to-peer lending). This service platform allows lenders to lend to known borrowers and administers the whole process, including contract terms online with ease and convenience. This is Sechaba’s second venture in the entrepreneurial field after having completed the first ITP in June 2012. Dean Thompson turned his childhood fascination into a business, when he started Inferno Films, specialising in corporate and marketing videos, broadcast television, music videos and animation. Having worked in the television industry, Dean identified a niche and now provides a total package to the client – just one of the unique value propositions of his company. Business partners Raphael Mohlala and Lucas Ledwaba are the founders of Phakamo Holdings, a service provider in the IT Enterprise Architecture Management & Governance, Telecommunications, Multimedia and Technology supply domains. Their core objective is to be the continental leader in providing solutions and technologies that will add value to businesses and governments, with mechanisms that will ensure effective and efficient trading platforms. Phumlani Gouws owns MERIDICT Systems. Licensed by the Independent Communications Authority of SA as a telecommunications services provider, the company boasts two national telecoms licences, IECNS and IECS, plus a number range. Within the telecoms industry, it provides broadband fibre and wireless terrestrial last-mile technologies for enabling multimedia (data, video, voice) connectivity. Meridict is one of only 22 businesses in South Africa that holds both an IECNS and IECS licence. Yongama Skweyiya runs InnoVartis Technology Systems. He has keen interests in technology, education in innovation management and entrepreneurship. Based in Cape Town, he describes his company as a mobile technology integrator, offering clients SMART technology solutions that will improve their efficiency and productivity. Moses Mashudu founded Munasi Consulting, a dynamic and diverse IT company built on multidisciplinary research and technological innovation, with the aim of contributing to business sector development. Services include service level agreements, on-site support, and software and systems development, consulting, designing & implementation of customised maintenance and support solutions, corporate branding and design, web development, hosting, and IT solutions, tailored at business development. Jay Pancham started Harpan Technologies when he spotted some enticing business prospects in this field. Harpan is an IT company specialising in customised software development. The company boasts several software products including a container management system, issue management, and environmental management information system. As a strategic adviser and on-the-ground implementer of sustainable micro and small enterprise development, MEDO is not only helping to secure supplier relationships and expand trade within and outside South Africa, but the company’s vast cumulative knowledge and experience in the enterprise development (ED) space ideally positions it to assist corporate clients with their ED strategies and Broad-Based Black Economic Empowerment (B-BBEE) points accrual. MEDO has recognised the need to assist organisations develop winning ED strategies, operational rollout plans and other related advisory services to support their B-BBEE and broader investment priorities. A robust supplier development programme has been developed to prepare for the revised B-BBEE codes due this year.